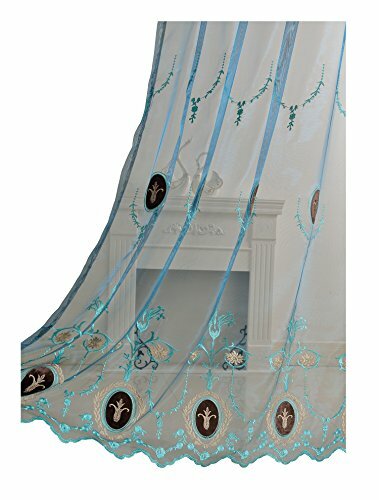 These sheer curtains are very beautiful and elegant with embroidered design. Transparent and breathable fabrics. Hope you like them. If you have any problems, please contact us. Features: Embroidered sheer curtains, vines pattern, beautiful and elegant, velvet added design. Material: Polyester blended. Machine wash cold, gentle cycle, easy care, do not bleach. Rod pocket panel is easy to hang with a standard or decorative curtain rod. Sold as single panel, each panel measures 52 inch wide by 63 inch long. Good for living room, kitchen, bedroom, kids room, etc. If you have any questions about this product by Aside Bside, contact us by completing and submitting the form below. If you are looking for a specif part number, please include it with your message.